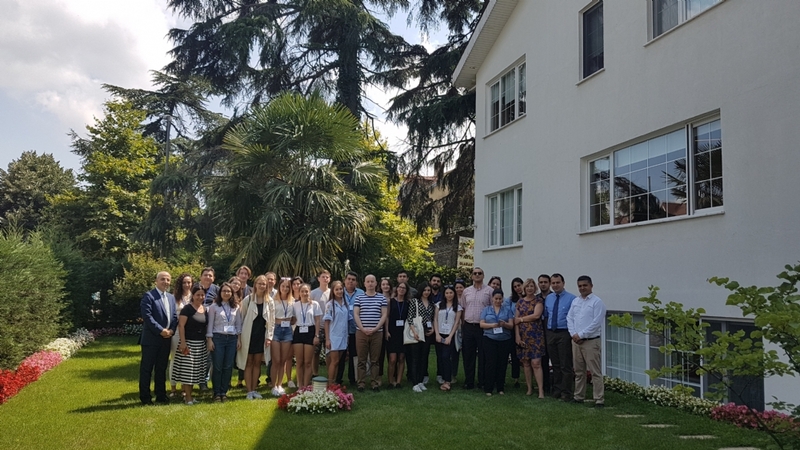 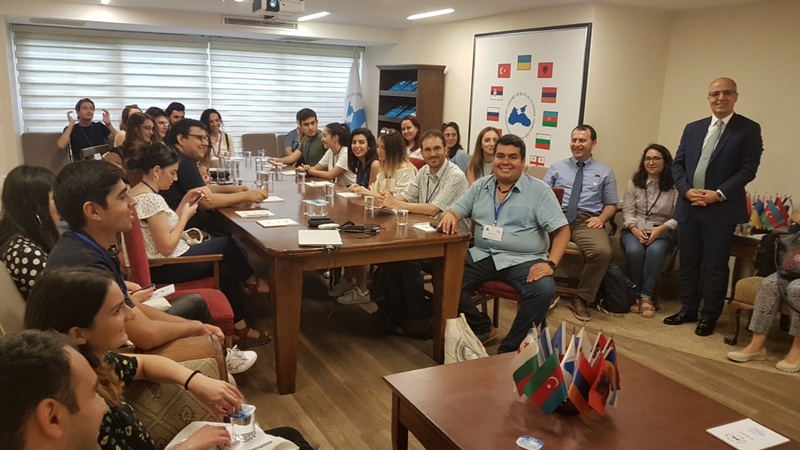 On the occasion of the Summer School on Modern Integration Processes, organised by the Network for Developing European Studies in the Caucasus, which is an Erasmus Jean Monnet Network of higher education institutions, designed in order to enhance the level of the European Studies in the Caucasus Region and hosted by the Yeditepe University in Istanbul, a group of academicians and students of several universities, paid a study visit to the PABSEC International Secretariat, on 9 July 2018. 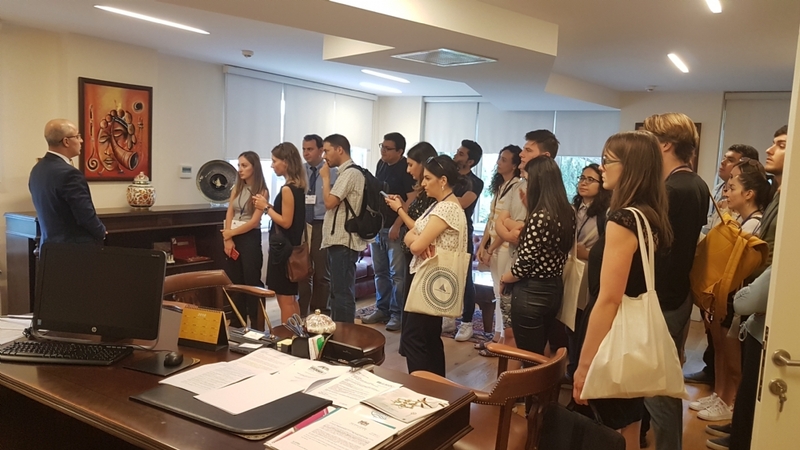 During the above-mentioned visit, the guests were presented a brief information on the establishment, structure and the current activities of the PABSEC. 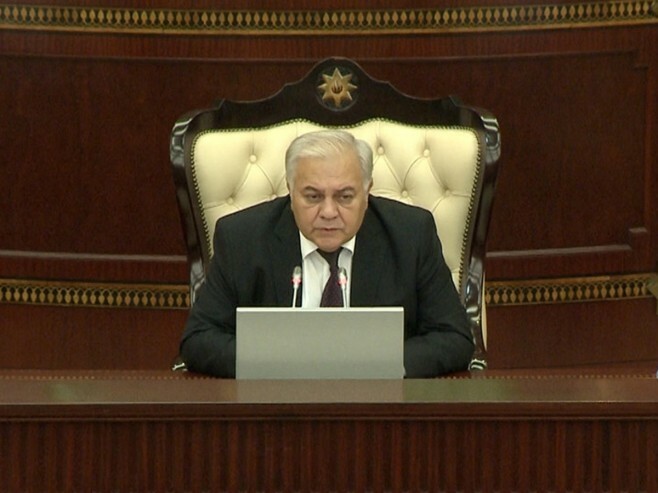 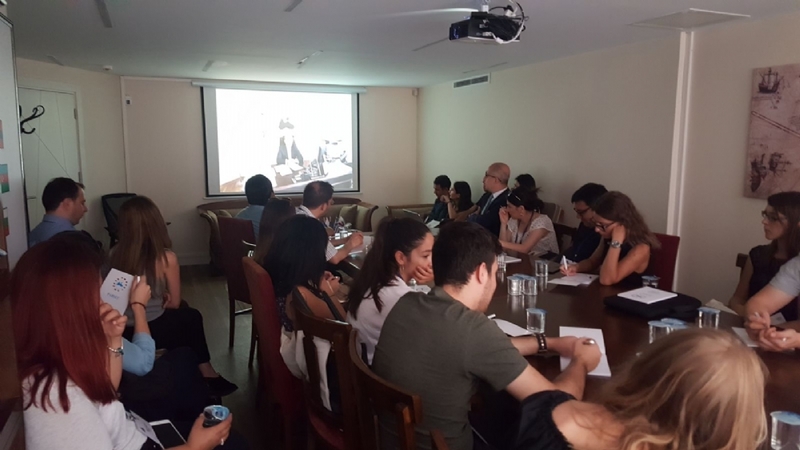 The welcoming video message of Mr. Asaf Hajiyev, the PABSEC Secretary General and the sand presentation of the PABSEC initiatives, which were achieved on the ocassion of its 25th Anniversary, were also presented to the participants. 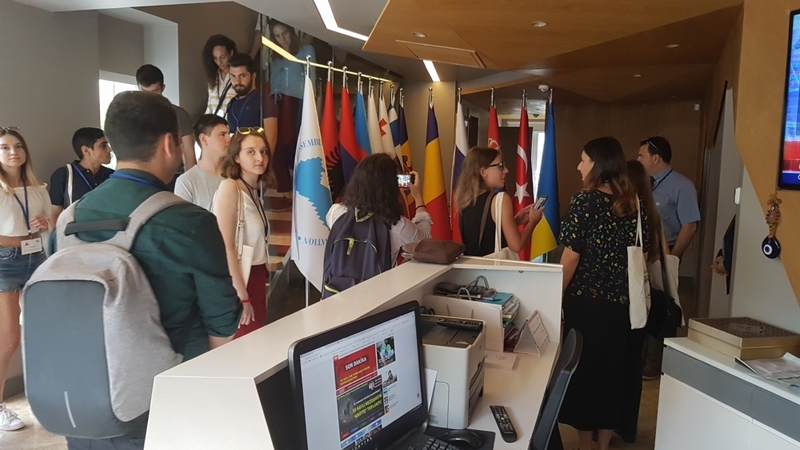 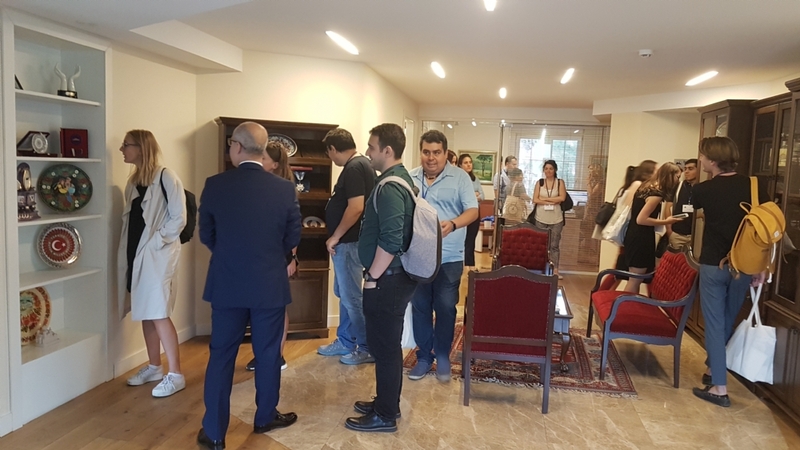 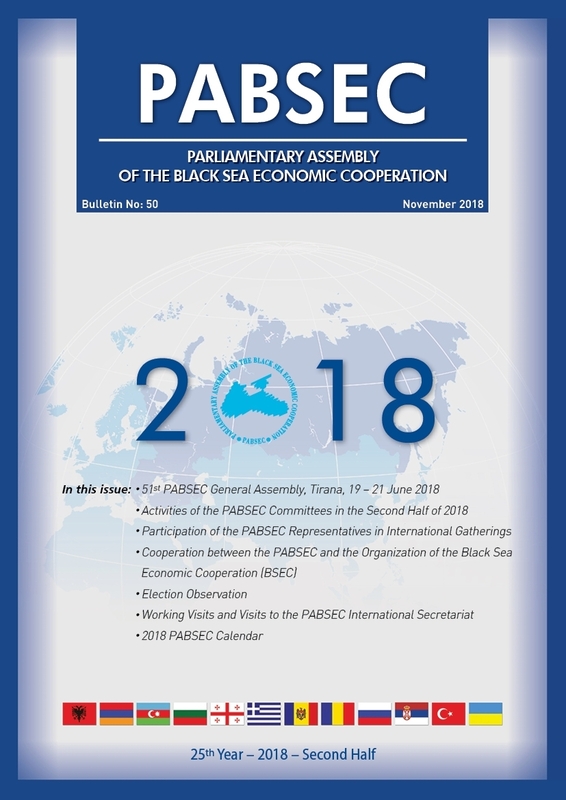 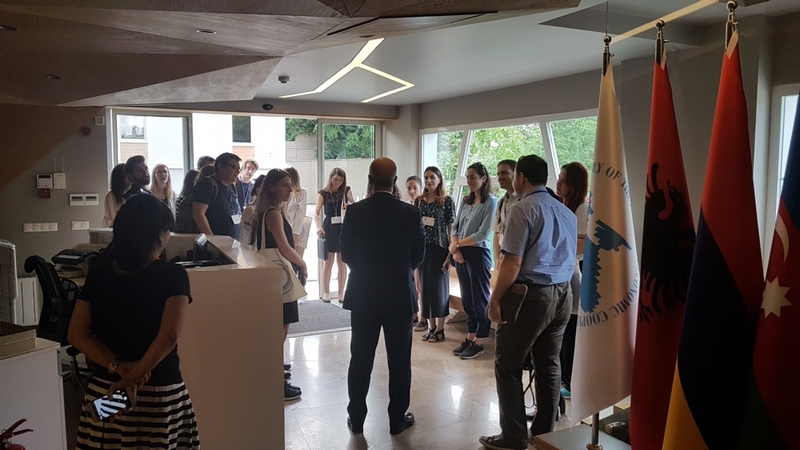 During the coffee break at the garden yard of the PABSEC International Secretariat, the guests also had the chance to meet the staff of the PABSEC International Secretariat and the sides exchanged their perspectives, experiences regarding the activity in an International Secretariat of a Parliamentary Assembly.